The burden of workplace stress across several occupations is well established. However, only recently have studies shed light on who might be worst hit by stress at work – Women. Stress is a response to excessive pressure or demands placed on an individual. This response manifests as physical, emotional, and psychological symptoms and signs. When the workplace demands exceed a worker’s capacity to handle them, burnout results. Experts have established that men and women respond to stress in different ways, the same way as their ability to manage stress and the hurdles they face in doing so differ in markedly different ways. 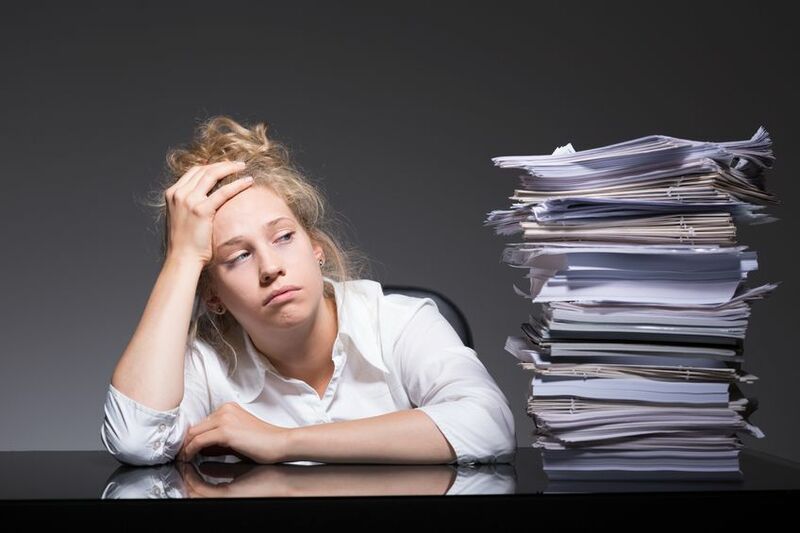 According to Emolument, a salary bench marking website, 57 percent of women reported feeling burnout out as a result of work stress, compared to 48 percent of men. The statistics are similar in other parts of the world: UK health and safety consultants Arinite reported that female workers in the UK are 1.5 times more likely than males to suffer burnout at the workplace. Cigna conducted its fifth annual survey on well being, with 13,000 people from over 23 markets participating. The respondents were from various countries including the United States, Saudi Arabia, New Zealand, Turkey, India, and Canada. Findings from the survey revealed that women were more stressed than men in the different markets in those countries, with more female respondents than men reporting trouble sleeping, poor management of their health, and financial stress. A survey reported by the American Psychological Association shows that women are more likely to develop physical and emotional symptoms of burnout than men. This is even worse for married women, as married women report higher levels of stress than single women (33 percent vs. 22 percent). Why are Women More Likely to Suffer Workplace Stress? Many women report feeling pressured at work, with much more demands than they can handle. In the survey by Cigna, women reported heavy workloads as the major cause of stress at work. Many of these women reported that work was invading their personal time. The statistics are worse in male-dominated occupations. In a recent study published in the American Journal of Sociology, gender exclusion was a major cause of stress at work. In the study, the researchers placed female participants in groups with three male counterparts, and one male participant with three female participants. The study authors simulated the work conditions of male-dominated occupations in the groups and found that there was an increase in the levels of the stress hormone, cortisol, in the participants subjected to gender exclusion. Work demands placed on women are typically higher under these work conditions and women, in turn, have to work harder to prove an equal level of competence with their male counterparts. This often tilts them to burn out easily. Adding to these is the lion share of unpaid work women do at home, including taking care of the children, cooking, and doing other house chores, in most societies. Juggling between work and a stressful job, for married women, may be a significant source of stress. Today in the United States, the average income for a female worker is 78 to 82 percent of her male counterpart’s. In 2016, women’s earnings were lower than men’s income in all states of the US. and the District of Columbia. This gender-based disparity in remuneration has been established to be a major stressor at the workplace. Researchers at the Columbia University School of Public Health found that a woman’s income level (compared to her male counterpart’s)is closely linked with anxiety and depression. They further reported that no such link existed if the woman earned the same or even more than her male counterpart of the same age, with similar qualifications, and in the same industry. The study reveals that even in executive-level jobs, where individuals earn large salaries, women are still almost three times more likely to develop mental health problems as a result of the pay gap. As reported in the Washington Post, the cause of this stress is not the pay gap itself, but the gender-discrimination it hinges on. Workers need a healthy work environment to thrive and even beat stress. In a recent survey by RAND, nearly two-thirds of workers in the US report working under unhealthy work conditions and a significant number of these workers are women. Hostile social interactions, verbal abuse, and sexual harassment are a few of the unhealthy factors women report as being major sources of stress in an unhealthy workplace. Many women also note that a lack of emotional support from their bosses enables these unhealthy behavioral patterns. It centers on the values upheld by the employers. A workplace where the boss is likely to be disrespectful to or bias toward women will encourage such behaviors among workers. In addition, women are more likely to work in low-paid jobs, which are often characterized by precarious working conditions. Women also tend to stay in the same job much longer than men, increasing their exposure to stress from work. Many people may call the concept of work-life balance a myth, but when you have responsibilities to take care of at home, you might need to have enough time off for that. Workers, and that’s including women, should be allowed some measure of control over their work schedule and design. Some women may find it better working from home or working in a place that encourages days-off and vacations, to help workers de-stress. Enforce policies that discourage all forms of gender discrimination. Women have often cited poor emotional support from their employers as a major source of workplace stress. Providing a workplace where women can thrive and feel comfortable in and confident about themselves goes a long way to limit stress. These are invaluable to women, especially when they have to juggle between responsibilities at the home front and at work. These programs provide stress-reduction solutions tailored to each worker’s needs. These programs may offer training in stress management, mindfulness lessons, and mental health training by professionals. They also provide therapy sessions for people who have developed physical manifestations of burnout. This erodes the gender-based pay gap to an extent. Pay differences should reflect the differences in responsibilities and not solely on gender difference. In addition, incentives should be provided for good performance and quality of work. Prioritize strategies that can close the pay gap more cost effectively such as ensuring an equitable and transparent pay structure and offering fair incentives and pay raise across the board. Workplace stress has been an issue plaguing many workers across many markets. But studies are beginning to find that the burden tilts more toward women. Employers can take steps to understand the basis for this difference in response to stress and provide solutions to better address it, thereby creating a healthier and more productive workplace.